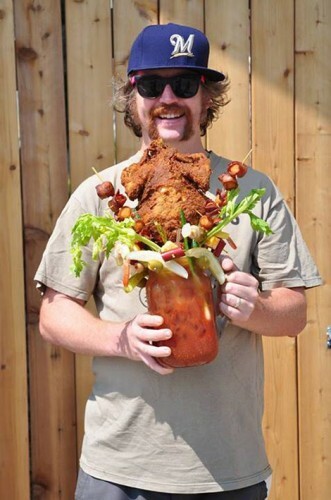 The battle of who can put more food in or on top of a Bloody Mary continues. 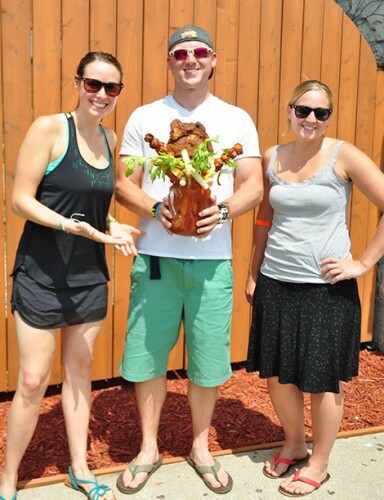 The newest contender: Sobelman's Pub & Grill in Milwaukee. The battle of who can put more food in or on top of a Bloody Mary continues. We’ve already been subjected to the $53 monstrosity from Score on Davie in Canada that includes a roast chicken, burger, onion rings, brownie, pulled pork mac and cheese dog, and some other stuff. 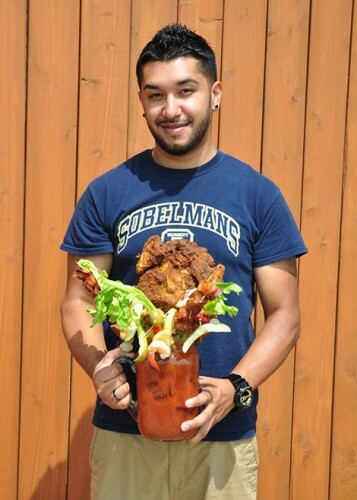 Now, we’ve been graced with the Bloody Mary from Sobelman’s Pub & Grill in Milwaukee, which just happens to have an entire fried chicken in it. The Bloody Beast will cost you $50, but Sobelman’s says it will donate $5 for each drink it sells to Milwaukee’s Hunger Task Force. Our main question: How does one even go about getting to the Bloody Mary part?